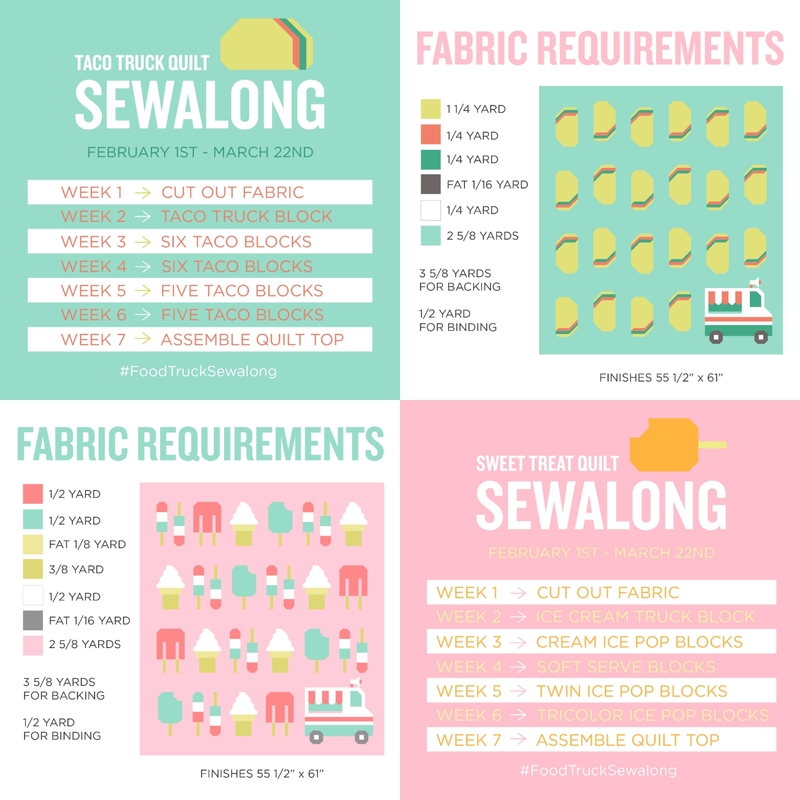 The Sweet Treat & Taco Truck Quilt Sewalong AKA #FoodTruckSewalong starts in TWO WEEKS! So time to grab a copy of the pattern, if you haven't already, and start planning your fabric pull! 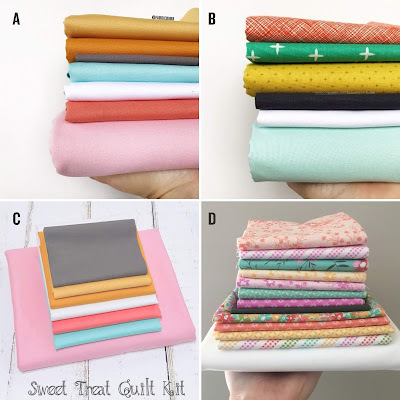 If you're stuck on which fabrics to use in your quilt, I have good news! 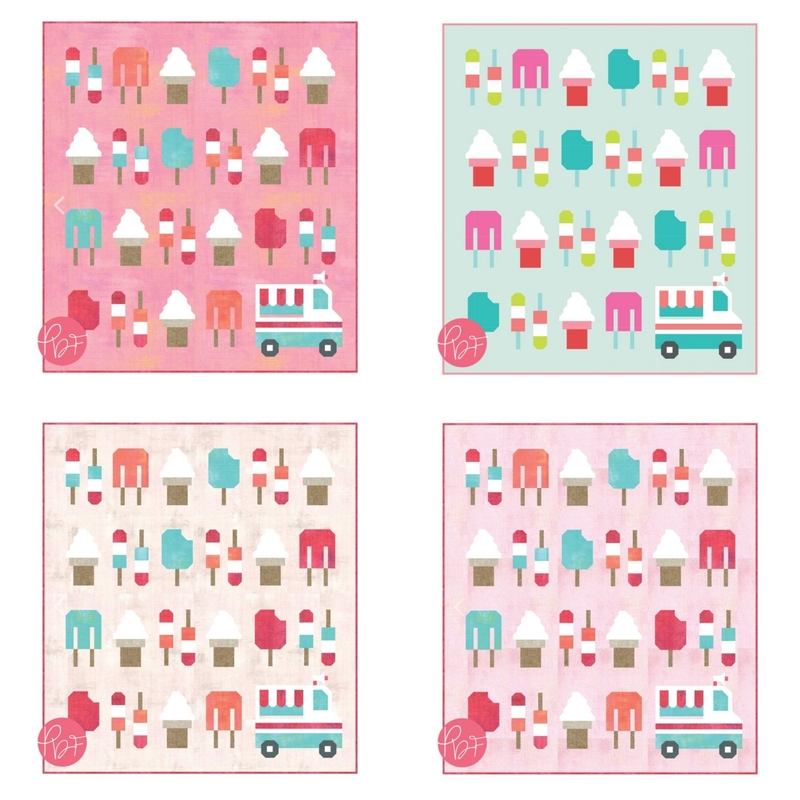 There are currently FIVE different quilt shops offering kits for the Sweet Treat and Taco Truck quilts! 3. Bundle D is from Handmade is Heartmade - which is actually the bundle I'll be using during the sewalong too! 5. 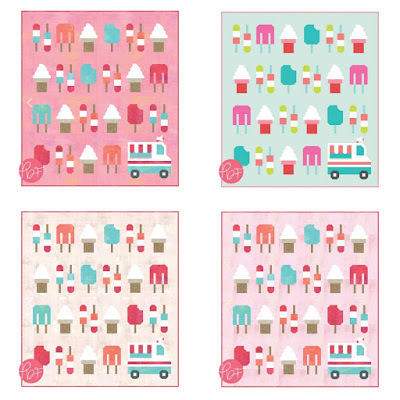 And Sewtopia is also selling bundles that feature some really cute ice cream themed prints from Michael Miller! To participate in the sewalong all you have to do is post your progress weekly on Instagram using the hashtag #FoodTruckSewalong and either #TacoTruckQuilt or #SweetTreatQuilt in your caption! And if you want to be entered in for each week's giveaway you'll want to make sure you're following that week's prize sponsor(s) too! But that's it! Keeping it as easy as possible 🙌 The schedule for the sewalong and the fabric requirements for each quilt are below! And last, but not least, check out all the super fun prizes that will be up for grabs during the sewalong! Fabric, patterns, gift cards to amazing shops and longarmers, and a pretty cool gift basket too! All of which wouldn't have been possible if it weren't for the generosity of these companies! HUGE THANK YOU to Paintbrush Studio Fabrics, Fabric Bubb, Maker Pin Co, Knot & Thread Design, Pink Door Fabrics, Patchwork Threads, Then Came June, Maker Valley, and Threaded Quilting Studio for making this sewalong extra, extra fun! YOU GUYS ARE THE BEST! And if you're not familiar with them, I recommend taking a second to check out their talented selves! Who's ready to start sewing?! Do the dates of the quilt-along align with the first day or last day of each week of sewing/posting? So week 1 would go from Feb 1st-8th or Jan 26th-Feb 1st? Feb 1st is the very first day and March 22nd is the very last day. So week one, for example, is 2/1 - 2/8. Week two is 2/8 - 2/15 and so on! Hope that answers your question! 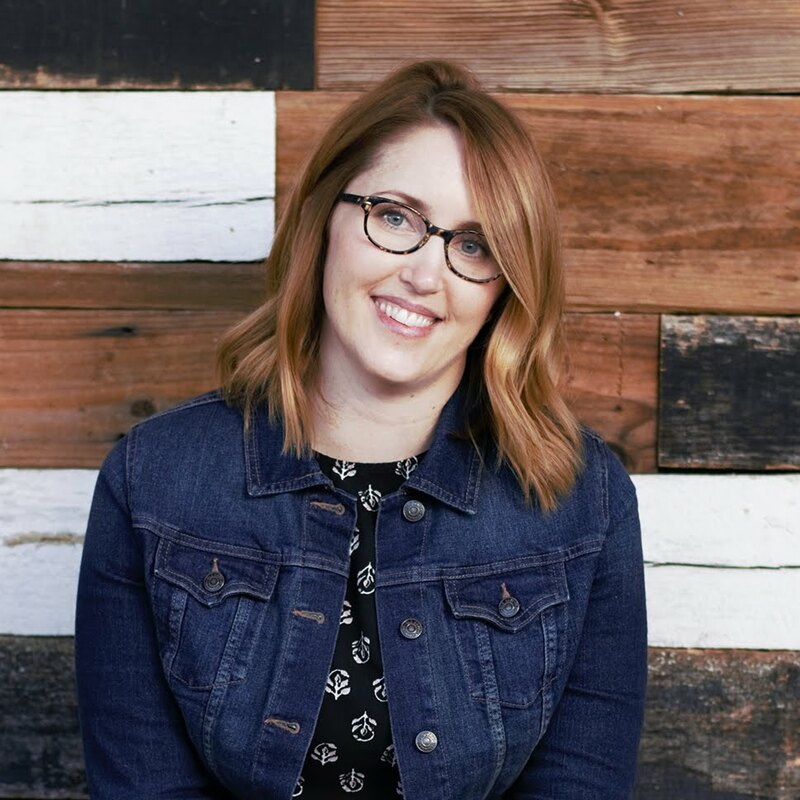 Hi Lindsey - I got the pattern (digital version) and am excited to make the taco truck quilt. Are there cutting instructions for the taco blocks that I am not seeing? Or is that not needed for paper pieced patterns? I'm new-ish to paper piecing and just wondering. Thank you!!! I didn't see templates included so I used the taco blocks provided and rough cut some pieces to get me started. I think everyone does FPP differently, some may not cut anything til they need it. The procedure of this service is very important for you to know. Our cooperative team will instruct you every step in detail. It depends on you that to which currency you want your bitcoins to get exchanged with. You would get glued to our company because of this service.